Have you ever been totally frustrated as a blogger, wondering why no one is reading your stuff or why other bloggers seem to get all the glory? When I was a new-er blogger, I felt the same way. In fact, one day, I was sitting at the kitchen table in my parents’ house totally frustrated and frankly, pissed. I saw all these other bloggers who were completely killing it in terms of income, and I knew I could do it too. I knew I had the work ethic and the desire to make money from my blog and my writing, but I just didn’t know how. After all, people told me they loved my blog. Friends and family read it, and I even got a comment or two from total strangers back then. So, if everyone liked it, why I couldn’t I make it bigger? 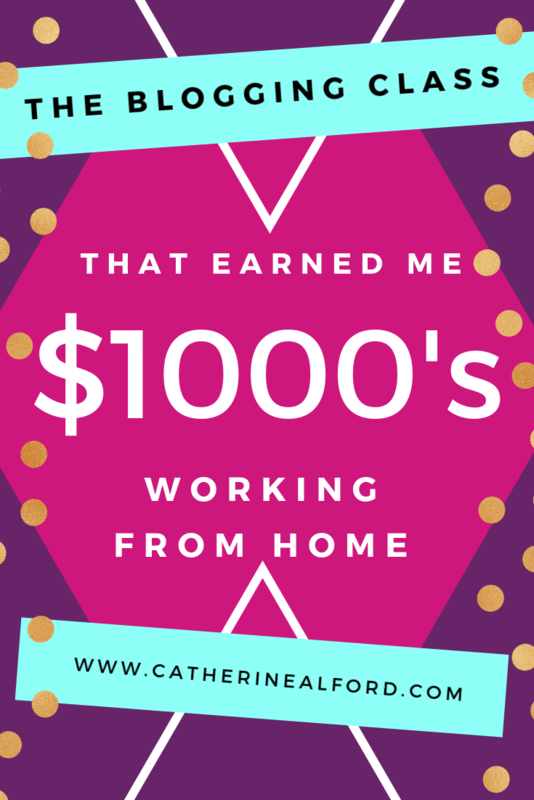 Why couldn’t I earn an income from it and work from home like so many other people were doing? I didn’t know the answers then, but I was determined to figure it out. After all my searching, I came across someone named Jon Morrow, and my life was changed forever. Now I don’t mean to be all dramatic about it, but it’s true. Jon has been teaching a class about Guest Blogging for years (which has now morphed into a total empire.) His class teaches you how to get the attention of editors for top blogs and magazines, and he is an absolutely fascinating human being. For one, Jon is incredibly talented and hard working. His course taught me so many unique tricks that I never, ever would have figured out by myself. Even his free PDFs, like his ultra popular Headline Hacks PDF, helped me create better and better blog posts. You know what says a lot about Jon and his empire? He did all this while being physically disabled. Yep, he is CEO of his company and runs a millions-of-dollars a year blogging business from his wheelchair. He can’t even type. Everything he does is voice activated. And he’s freaking brilliant. Even my mom asked me what the heck I was thinking. She just couldn’t fathom why I would spend money on a blogging class. Would it even be worth it? How did people make money from blogging anyway? In Jon’s course, I learned the right way to market my blog, how to approach bloggers and editors who ran HUGE websites, even though I was just a little tiny blogger myself. He also taught me how to search for guest posting opportunities as well as media opportunities in unique ways using tricks and websites that I had never heard of. Again, even if you don’t want to invest in his class right now, he still offers tons of free resources like the Headline Hacks which give you examples of how to create blog posts titles that are more likely to go viral. Anyway, the result of all of this investing in myself was my very first writing job online! In my search for guest posting opportunities, I came across a job ad for a contributor writer position, basically like guest posting except someone was paying me to do it. I used everything Jon taught me about pitching and interacting with other bloggers, and I got the job! I remember e-mailing Jon to tell him and he wrote back SO EXCITED for me. That meant so much, knowing that he was so busy and had so many students, yet he took the time to write me back. The day I got hired for the first staff writing job was over 4 years ago. 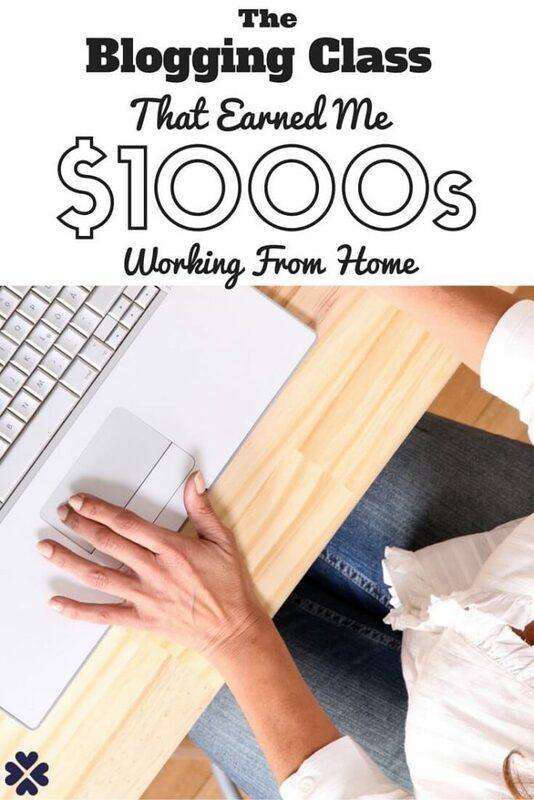 Since then, I have gone from making $10.00 per blog post writing for that first client to making over $100,000 per year writing for dozens of blogs across the web and partnering with national brands who I feature on my blog and on my social media accounts. In the 4 years since making the investment in Jon’s course, my work here online has grown substantially. Because I learned how to approach large sites to get published, one of Jon’s areas of expertise, I was able to get published on The Huffington Post and U.S. News and World Report. Two years after my first Huffington Post article got published, I had a camera crew in my house filming me as an expert for Good Morning America. This is something that would have never happened had I not grown my blog, because my writing here and my blog helped me to become known as an expert in my field. I even moved near New York City for two years and got a talent agent, something I didn’t even know was possible for regular people like me. I thought talent agents were just for celebrities, but I was wrong. Bloggers are influencers, and brands want to work with us to help spread their message. Last week, my talent agent helped me negotiate a five figure deal with a global company. It’s truly astounding to me that this is my life now. If you would have told me that this was possible, that I’d be able to stay home with my two small children, play outside with them during the day and come home and blog at night and still earn six figures a year, I would have said you were crazy. All of the amazing opportunities I’ve had from this blog and from being a staff writer for other blogs started with my decision that day to find out how to improve my blog and my income. I just had to get pissed off enough sitting there at the dining room table, wanting to join the club of bloggers who worked from home and made killer incomes. I should note, I’m not saying all of this or listing my media appearances to brag. I’m saying this to show you that in a few years I went from being totally broke and having my credit cards declined at Walmart to being a full fledged entrepreneur and mother who can support an entire family on her own blogging income. Trust me, there is nothing magical about me and no secret sauce. I just took one class and I really worked hard at it. It paid off, and I know if I can do it, you can too. Essentially, once I invested that few hundred dollars in myself, it has paid me back literally more than a hundred fold in the last few years. I even did a stint as a virtual assistant working for Jon back in the day, calling new students and telling them all about the class, which was a real eye opener to how to run a successful business. Plus, I got to learn more about Jon, and I truly believe that he’s the real deal. So, long story short: I was broke. I was mad my blog was so small after two years of working on it. I did some research and found Jon Morrow. I took his class and implemented all of his lessons to the T. He hired me as his virtual assistant once I graduated from the class. I learned so, so much. I’m a full time blogger now and I get to stay at home and raise my kids and write at night. All that from one frustrated day at the kitchen table. All that from just a little bit of hoping I could do better and be better and a strong desire to make it all happen. So remember, anything is possible, and everyone has to start somewhere. Maybe today, right now, is your somewhere. If you want to learn more about Jon Morrow’s course, just click here. To access his free Headline Hacks PDF go here, and to learn more about how to get published on the Huffington Post, go here. His course has been updated and changed over the years, and he offers some payment plans so you can get started with very little investment. Or, check out the free Headline Hacks guide just to get a feel for how Jon works. 🙂 Good luck! So tell me, how long have you had a blog? Have you ever taken a blogging class? Share in the comments below! Thank you for writing this post it was really inspiring. I’m exactly where you were when you were sitting at that kitchen table and I really want to make freelance writing a career. It’s always great to read about successful bloggers humble beginnings for it gives you hope that you can also be successful. You have a great blog. Keep working hard. It literally is just all about work ethic and how much you put into it! It’s so inspiring to see all that you’ve accomplished, Cat! I love hearing about how you’ve turned blogging and writing into an awesome career. And, I agree with you that it makes sense to invest in your future and in things that’ll reap dividends later on. Thanks friend! It’s hard to know which investments will pay off though but luckily this one did. It’s definitely true. As writers and authors, we spend so much time writing when we should also be marketing. Networking with other bloggers has definitely helped me with my journey. Yes Jon taught me that it’s 20% writing 80% promotion – That was the game changer! Wow. Just that comment for me is a game changer. I spend about 10% marketing, 10% trying to figure out affiliates and how to maximize monetization and 80% writing posts, ebooks, and pitching….not to mention trying to get the right SEO friendly titles. Which I finally figured out with my last post, How child support hurts kid’s……I was always afraid of offending anyone or being controversial, but that’s really what you want. You have to give readers a reason to feel intrigued enough to click. P.s you even want your blog name to be a bit controversial. Mine isn’t, but at first glance it seems like my beliefs are rooted in the 60’s and that I think all moms should be stay at home moms. It really is a very personal and individual choice based on one’s own life and circumstances. Yes! The more scared or unsure you are of publishing a post, the more likely it is that you should do it! Thanks for sharing this Cat. Very inspiring. Almost every time I’ve invested in myself I have achieved results that dwarf the investment. I will definitely have to consider this. I’ve thought a lot about coaching and my blog in the last week, it’s pretty interesting where you started and where you came from, thats impressive. Thanks for sharing a little bit about your journey to where you are today. It’s pretty amazing how investments in personal/business development can really pay off! Great story & very motivating. I’m intrigued about his course now. Great accomplishments Cath. I can see that expertise in your writing based on your post. Thanks for recommending Jon Morrow’s courses. This is crazy, but I had never heard of Jon Morrow’s class until you mentioned it! Thanks so much for sharing this, Cat. Going to check it out now! You’re one of the most inspiring bloggers I know Cat, amazing story. Though I have no desire to do it professionally I do think maybe I’d like to push harder and move forward a step–just don’t know what that ‘step’ is, or if I even want to do it. I’ve wanted to find a course that can immerse me in Freelancing, it is one area I’d really like to explore! I’m excited to find Jon Morrow!! The only problem is when I head over to his site, there doesn’t seem to be a place to sign-up for the class. I went through the front page, about being a writer, and got the option to purchase the rolodex of contents (which I plan on doing), but I can’t seem to find anything on the course. Can you help direct me to the correct spot!? Thanks in advance! Thanks for sharing your thoughts Catherine. I am considering taking this class so I was searching for opinions on the class and found your post. Really useful. I am so thankful I stumbled upon this! I have been wanting to blog more, but I go a couple weeks and I do such a good job blogging, but get frustrated when 3 people viewed it and I know that two of them are my parents. I have been blogging for about 3 years on and off, but have been wanting to dive in and make more of an effort to consistently do it! I would love to be able to write from home to raise my future family! I love reading inspiring stories like these. I have bought lots of resources on blogging over the years and many of them are left unread. I need to go through them! Thanks for sharing your story and about this course. Just stumbled onto this post on Pinterest. You recommended I take this course and IT WAS A GAME CHANGER! I remember I was so scared to invest in something this expensive because I was paying off debt at the time. Totally worth the investment. This is really inspiring. Thanks for sharing, I’m really motivated. I want to start making money from my blog instead of only from freelancing. I’m definitely going to check this out and start learning more about how to run my blog as a business. 😀 every writer has block of felt frustrated, but congrats for everything you achieved!!! I love Jon Morrow and have thought about buying his course many times. I’m glad you shared your experience. May have to check it out! Totally Cheri! If you look at his video, it explains a lot more about it and you can get a sense of how he works. He really is awesome! I signed up for this course upon your recommendation and it has been fantastic. Morrow is a genius, as you say. I finished the course a couple of months ago, and am working to get my blog up and running. The materials and content are outstanding. I recommend it to anyone. Thanks for pointing me in that direction. Glad to see you posting again. I hope that you are settling in to your new home and that life is slowing down a bit after the moving crunch. Thank you Kim! I know I owe you so many emails! I am so excited to look into this! I only recently started blogging and freelancing…I have no clue how to monetize my blog other than using it as a giant writing sample for freelancing proposals. Thanks for sharing this! I want to look into this class! I do blogs and I have not heard such a concise solution. I hope you go for it! Good luck! thanks so much for this post. I’m very new on this journey but am so very motivated and goal oriented. it’s my dream to see something come out of me pouring my soul out onto a screen. hearing actual success stories is very inspiring!!! Of course! It’s the best job ever. I hope you stick with it and enjoy it! I’m in that place where I feel like I’m banging my head against the wall. I’ve started over, and started over, all while researching and trying to figure out what I’m doing wrong. Maybe this will be the kicker to get me going in the right direction. This is an awesome and informative post – thank you!! Literally today I was thinking that I would like to take a course to help improve my blog, but what course would I take? Then I came across this post. Perfect timing!! 🙂 Congratulations on all that you and your blog have achieved. As a mom of two young children myself, it’s so inspiring to read this. I’ll definitely be checking out Jon’s course. Thanks so much Maria – Feel free to reach out and say hello anytime! Thank you for this post. I’ve been blogging off and on for a couple years now, but have recently been thinking of going all out. This motivates me! I’ll check it out!! Thanks for the post! I was talking to my husband one day about finances and I got pissed! I work in the car business so I have terrible hours. I make good money but I’m sick of not being home with our son. I miss everything because I’m working. Weekends….I don’t know what those are. . I’m pissed and have some been working on my blog non stop. Learning how to make my blog, create titles, wrote posts, ect. Thanks for the inspiration! Can you let me know if there are any pointers for my site, I’d you don’t mind I would like your input!!! Hey Shauna! I can tell you’ve been working hard on this! The blog looks great! The Pinterest images look great! I would definitely keep killing it on Pinterest. I get about 30% of my traffic from there and other bloggers get even more than that. I use tailwind to schedule my pins — don’t know if you’ve been doing that!! I can tell you’re doing all the right things when it comes to your blog, your posts, and your design. You just seem to need more eyeballs on the post to really ramp up the income. 1k followers on Pinterest is great. Keep going!! Right now, for you, this is going to be a slow and steady traffic and follower building strategy before you see the numbers. E-mail anytime!! !